Mete Yüzbasi: Have you ever asked for a loan soldier? I did, banks didn't give me any. They expected me to own something but I didn't. Here I am, responsible for 39 soldiers and mountains and valleys and the sky as far as your eyes can see. But they don't see it as ownership. Because I don't have your deeds, you can't have deeds of people. The only fake part of film was the geography of the mountain.And we could disregard that because there is an ongoing war in its original geography. Cast was made of cinematography students, but they were playing themselves. 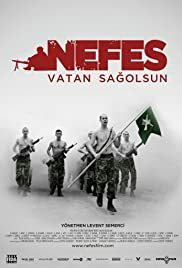 Turkish people are much likely to enjoy the drama than others but the film has its own war atmosphere. Not like other wars, this war has much hide and seek tactics and ambush mechanics. Director himself is a soldier. He had duty on same mountains as well as characters. But its not a war film. Its a peace film. True dialog, true characters, true film. I wish i could see the war ended. This movie is not about the war. don't think about the terrorism in Turkey that about the movie. Nor militarist neither anti-militarist. Not just about the terrorism. This movie is about the life. Lifes, which lives in 40 different souls. This is about the love. to love someone, poems, dreams, and to love mainland. Just to protect their land for to go their sweet home.This is not a fake bravery story. you will see the fear in their eyes. You'll see the tears. And you will consider what is the meaning of innocent soldier. Watch it, you will not lose anything. You 'll gain a life. And you will do anything to protect your life. This movie will tell you what is the meaning of love, under the threats of bullets.